Philadelphia Police have released the identity of the man they believe was the gunman in Friday night's shooting that killed an innocent 3-year-old girl and injured 3 adults in Grays Ferry. 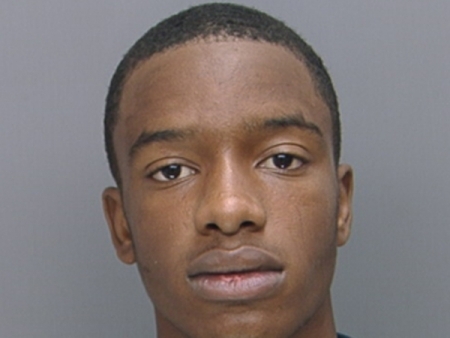 Police are looking for 22-year-old Brandon Ruffin whose last known address was on the 2300 block of Wharton Street. Ruffin was riding on the handlebars of the bicycle of 22-year-old Douglas Woods, who is already in custody, when they arrived at the scene on the 1500 block of Etting Street. At 9:40 pm the two men were arguing with another 24-year-old man when Ruffin allegedly opened fire on him hitting the man in the head. He is in critical condition. Stray bullets hit 3-year-old Tynirah Borum who was sitting on a porch. Two other adults were also shot. Tynirah died at Children's Hospital of Philadelphia. The two adults are recovering. Woods has been charged with murder, three counts of attempted murder, aggravated assault and related offenses. Ruffin should be considered armed and dangerous. Anyone with information should contact the homicide unit. 215-686-3334 or 215-686-3335 There is a $20,000 reward. UPDATE 10:39pm: 22-year-old Brandon Ruffin has been arrested and is in police custody. U.S. Marshals arrested Ruffin just before 10 pm Monday after executing a search warrant at a home on the 5600 block of Lloyd Street in the Germantown section of the city.